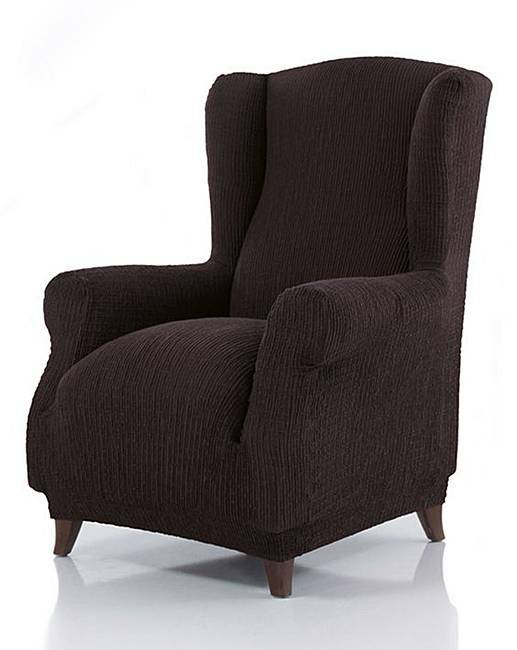 2 Way Stretch Wing Chair Covers is rated 3.0 out of 5 by 3. Bespoke sofa covers can cost an absolute fortune, so we’ve sourced the perfect solution for updating sofas and chairs in mere moments at an incredibly affordable price. Our clever 2-way stretch design will suit nearly every shape, whether round armed or square, updating your room with a new look in an instant. It’s a great way to prolong the life of your suite whether new or old, and provides added protection against stains and spills with washable easy-care polyester covers that are easily removed and replaced. The textured ribbed stretch fabric gives an attractive look yet is extremely hard-wearing for long-lasting good looks. 55% cotton, 40% polyester, 5% elastane. Rated 4 out of 5 by Sue 007 from Armchair cover I bought this within the last few days!!! Really pleased as it looks great on my tired armchair. Only criticism is that seat bit is loose and baggy!!! Probably the shape of my chair. Otherwise good!! !